Rabbit anti Bovine, Hamster, Human, Monkey, Mouse, Rabbit, Rat Caspase-5. 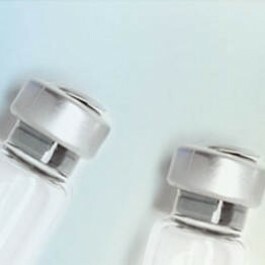 Blocking peptide (AP00012CP-N) is available separately. Caspase family of cysteine proteases has been shown to play a key role in apoptosis. Caspase-5 is also known as Ich-3 and ICErel-III and can proteolytically processed by granzyme B. Over expression of caspase-5 induces apoptosis in Rat-1 and HeLa cells, which can be inhibited by CrmA and Bcl-2. Store the antibody undiluted at -20°C or for long term storage (in aliquots) at -70°C. The affinity purified antibody preferentially detects the intermediate (32 kDa) and the fully (20 kDa) cleaved caspase-5. Human, Mouse, Rat, Monkey, Rabbit, Bovine, Hamster.